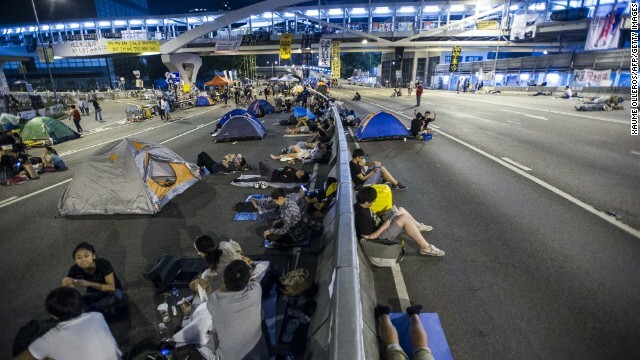 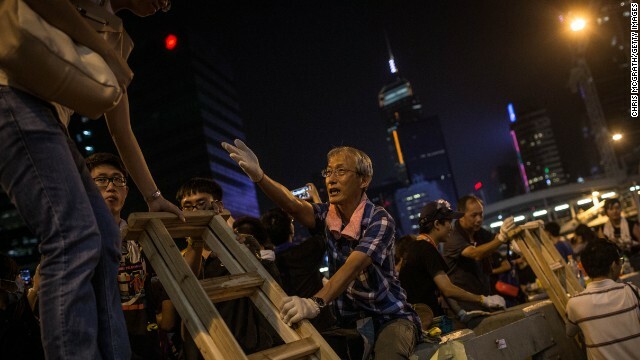 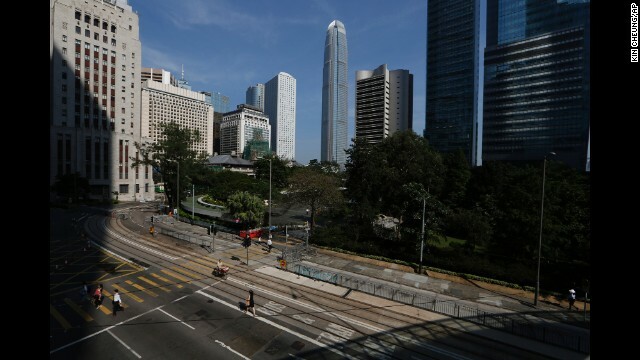 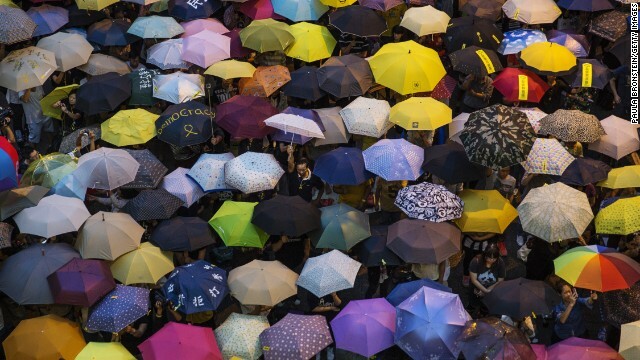 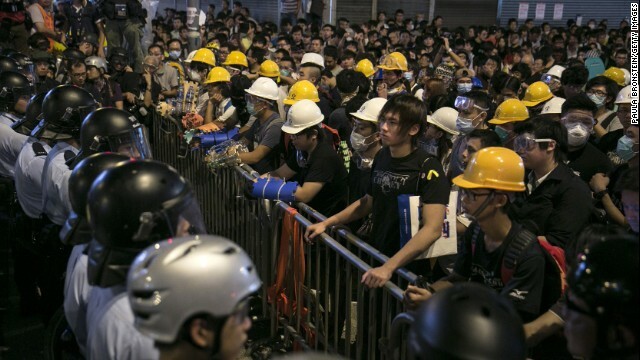 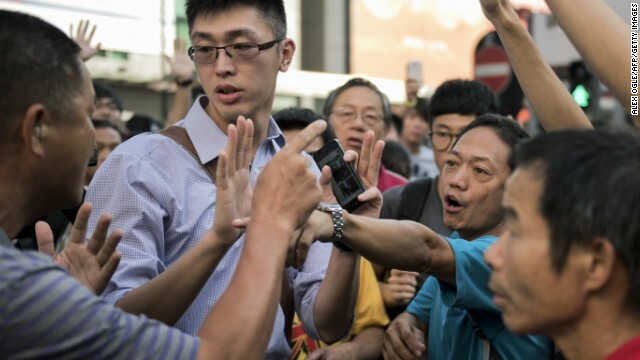 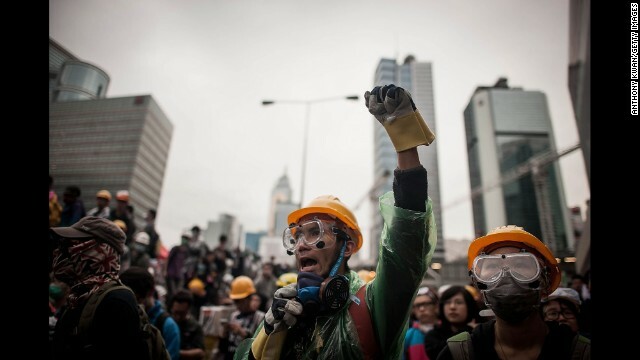 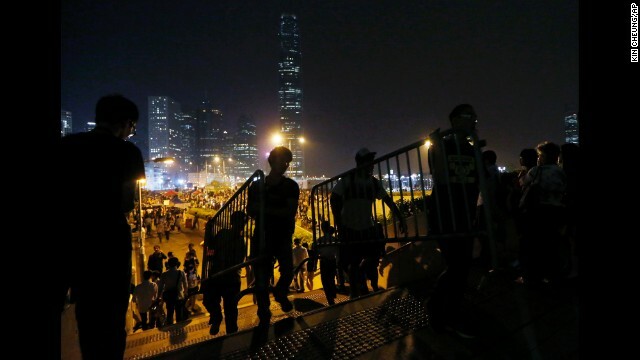 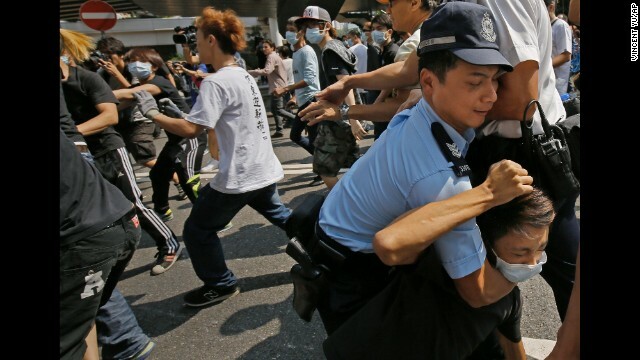 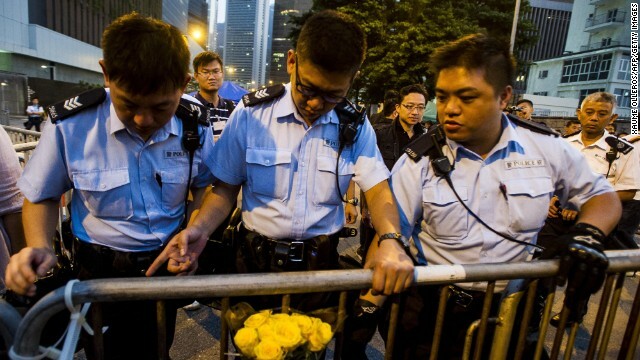 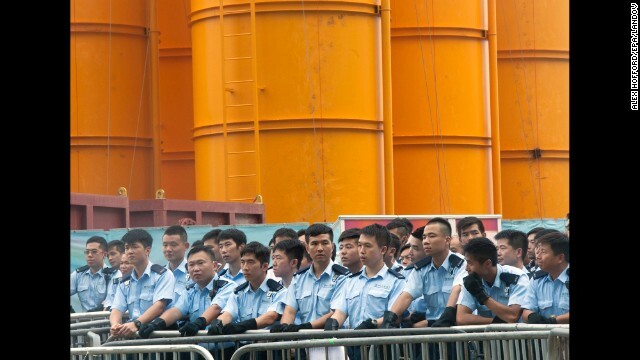 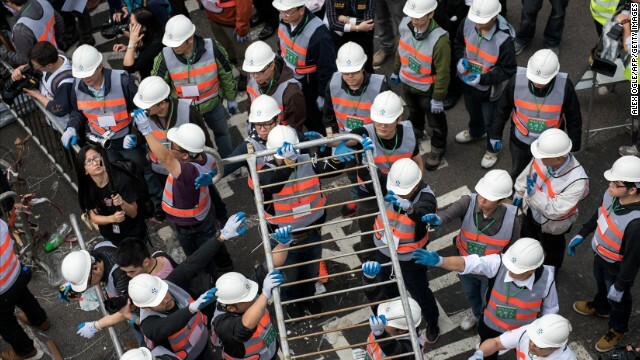 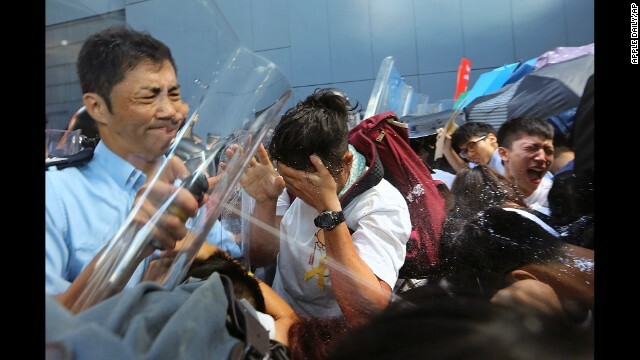 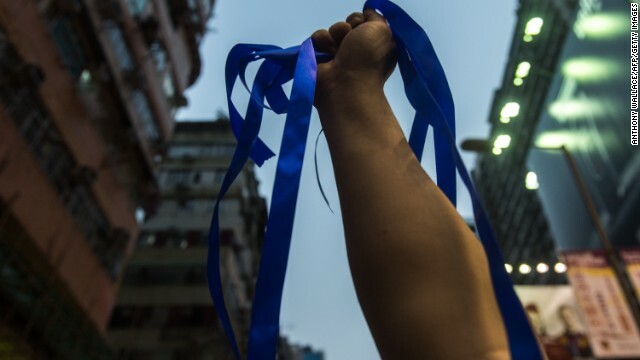 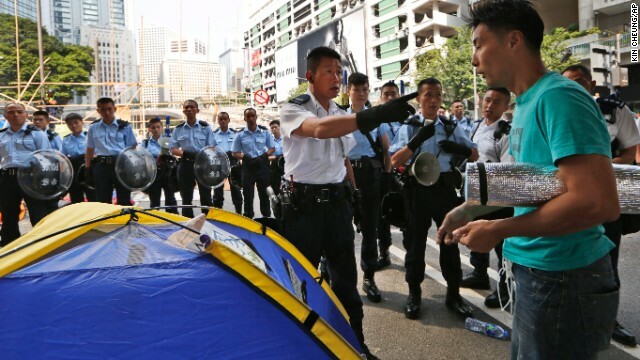 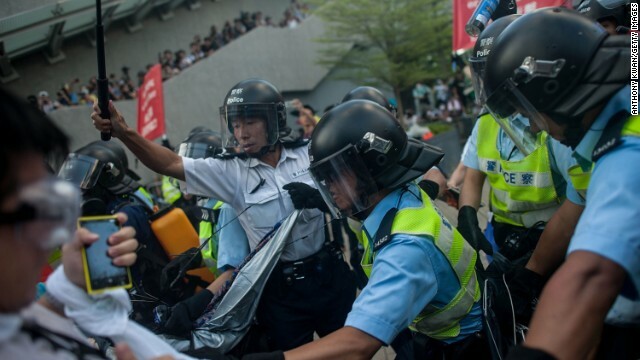 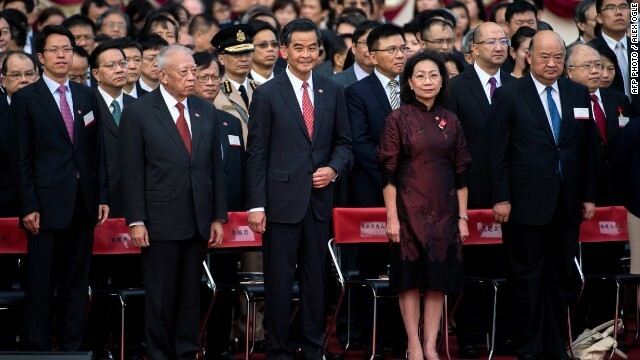 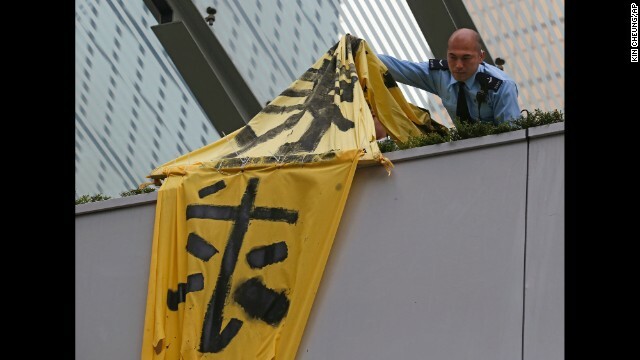 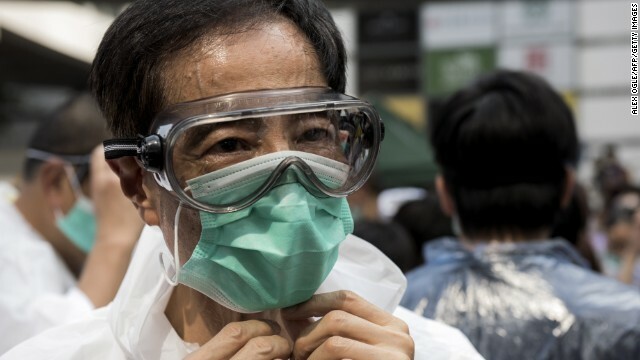 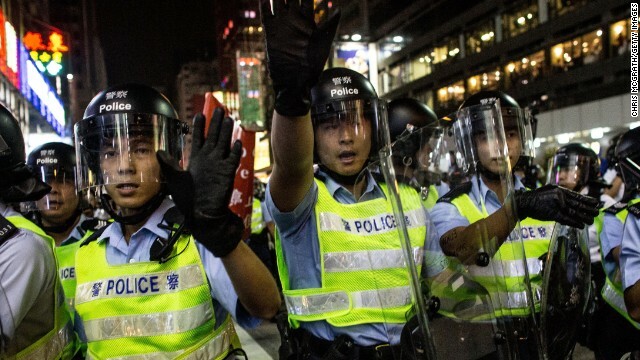 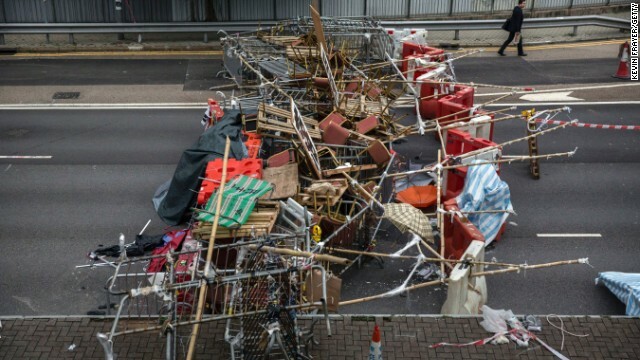 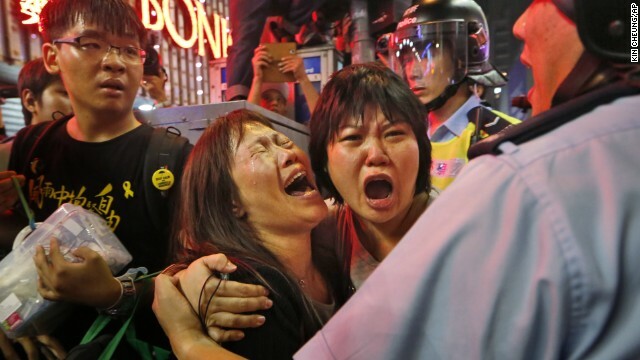 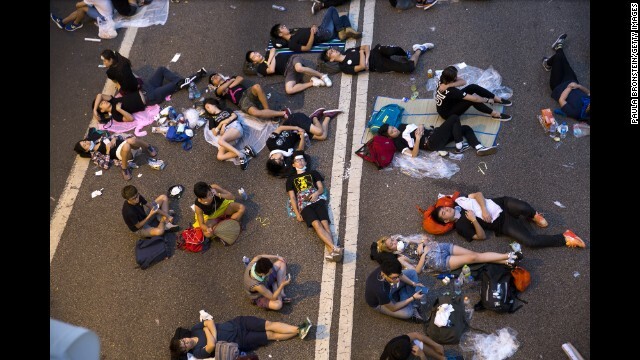 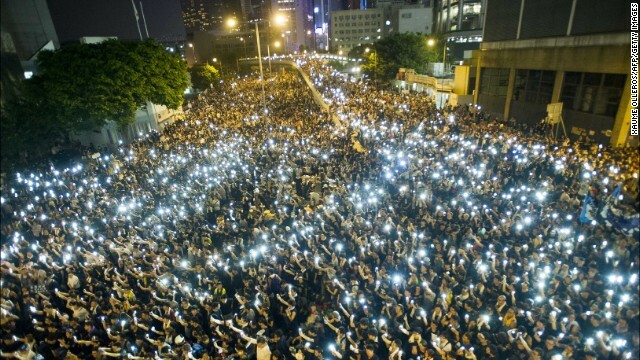 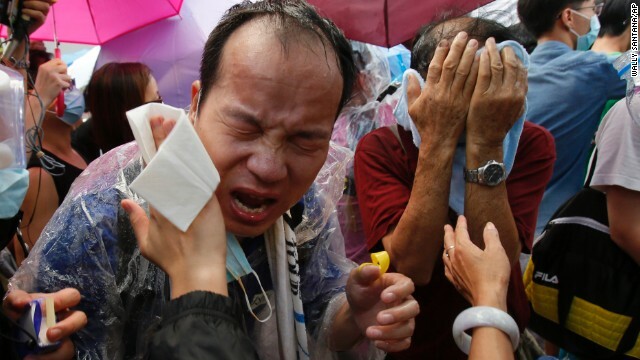 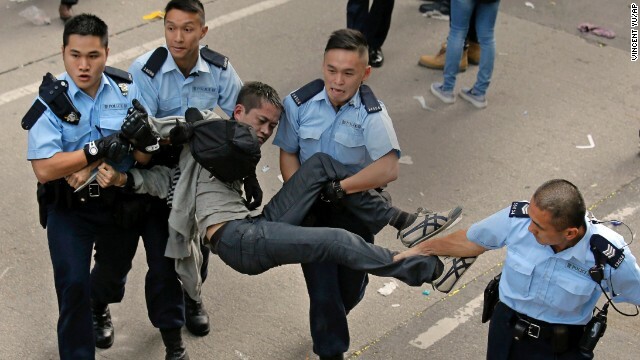 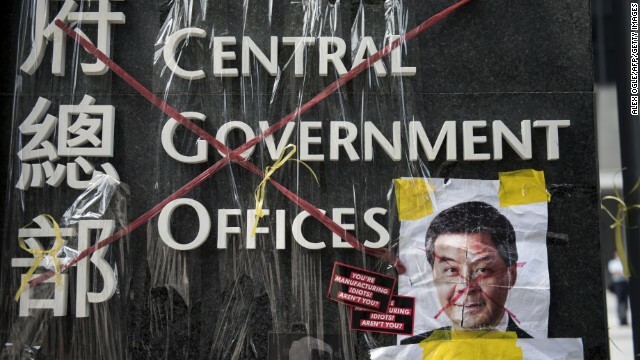 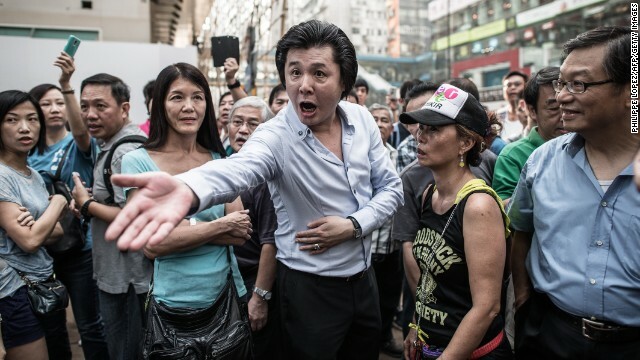 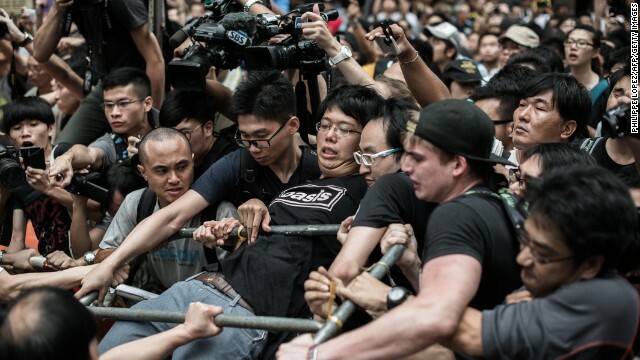 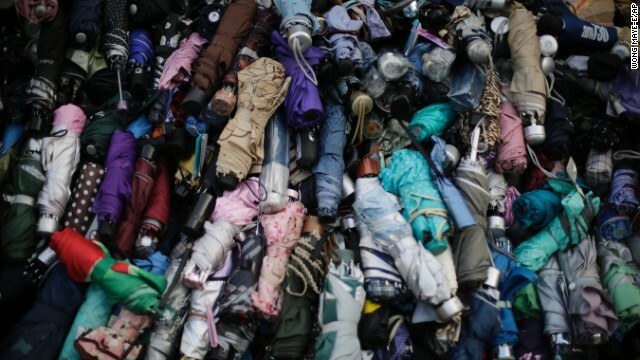 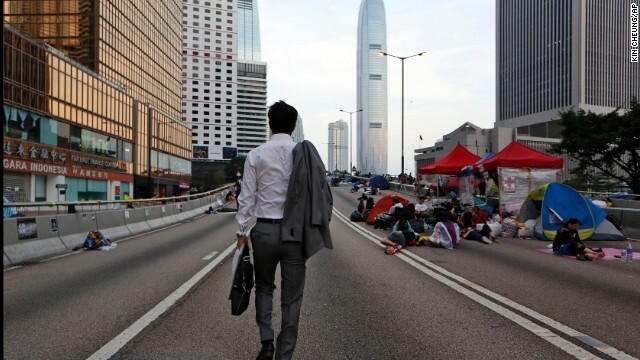 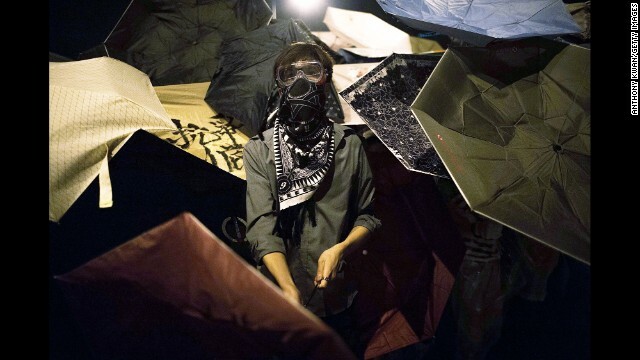 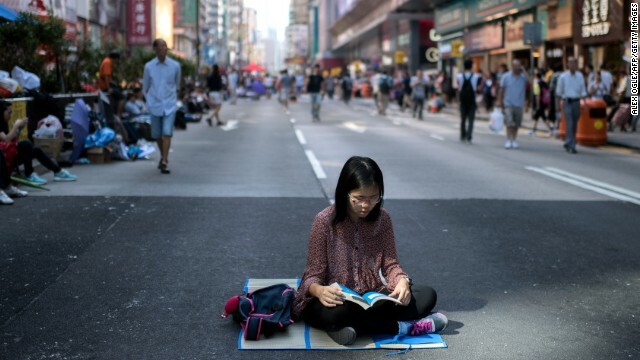 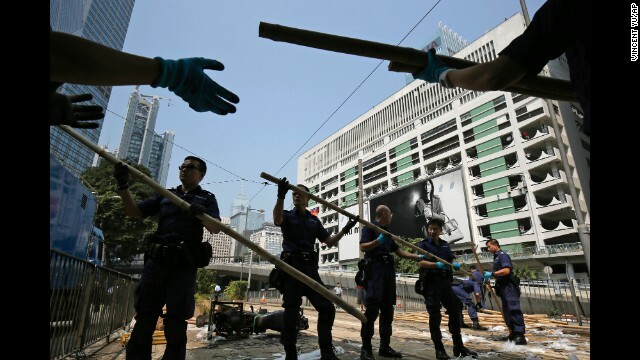 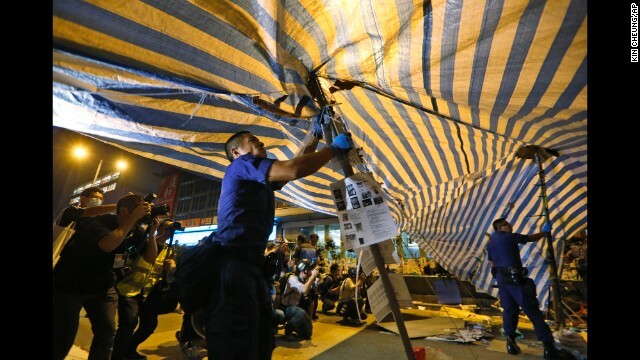 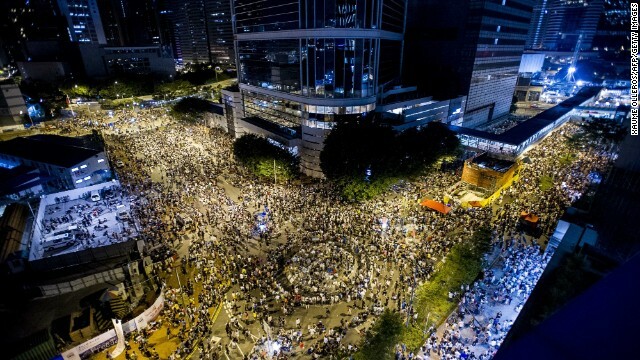 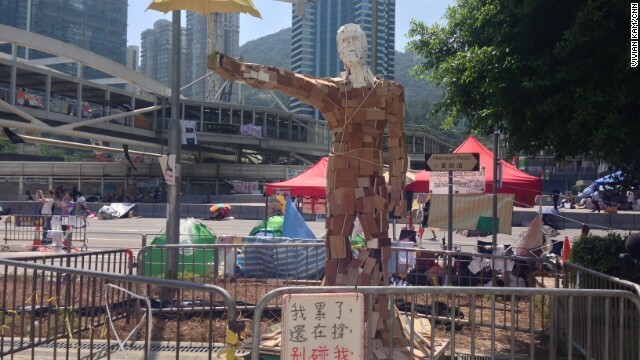 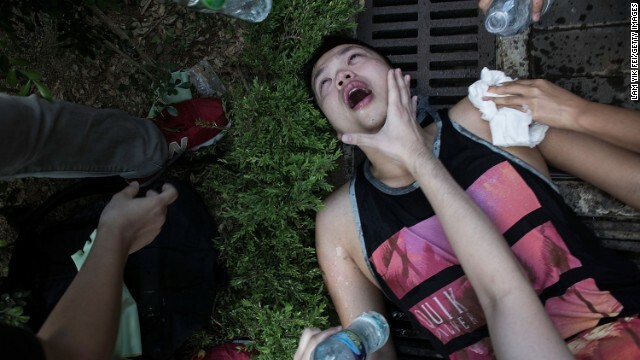 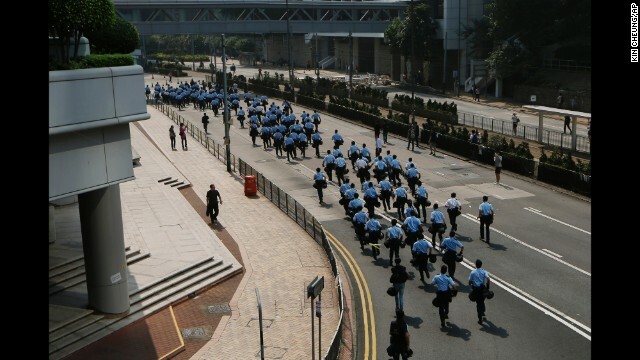 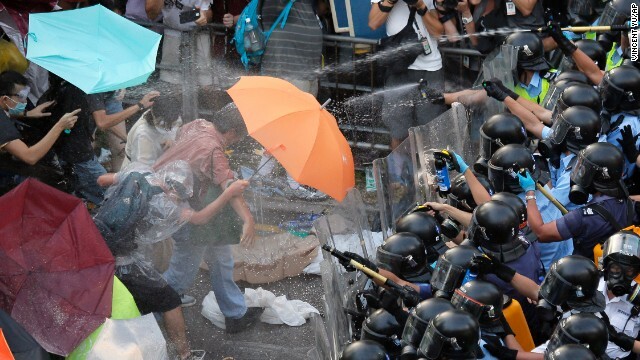 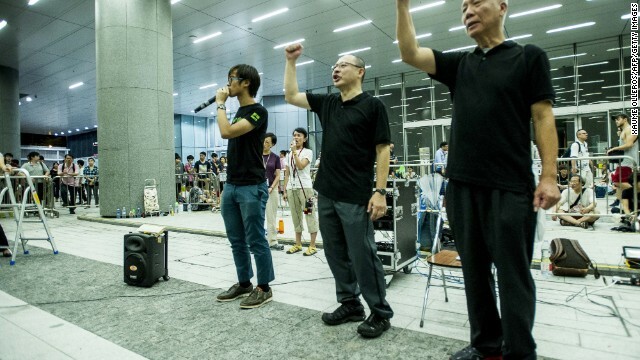 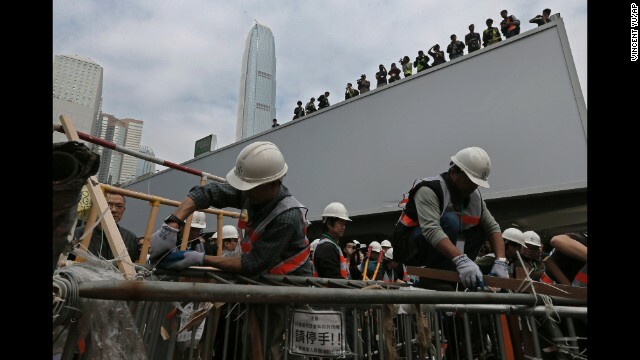 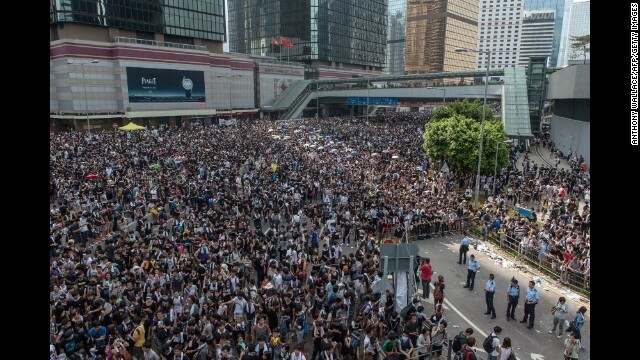 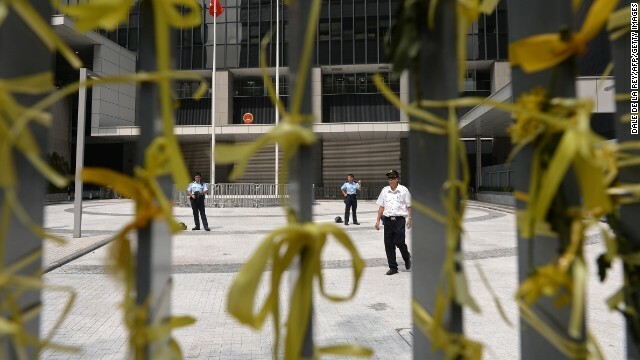 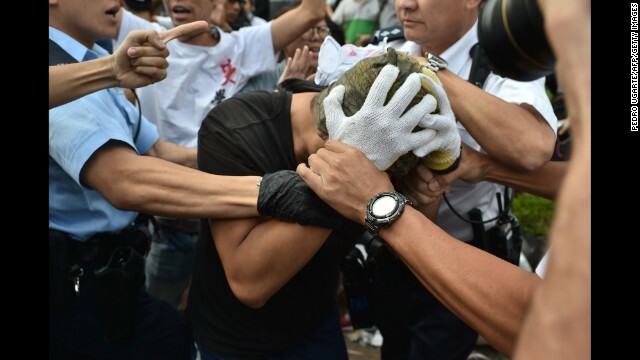 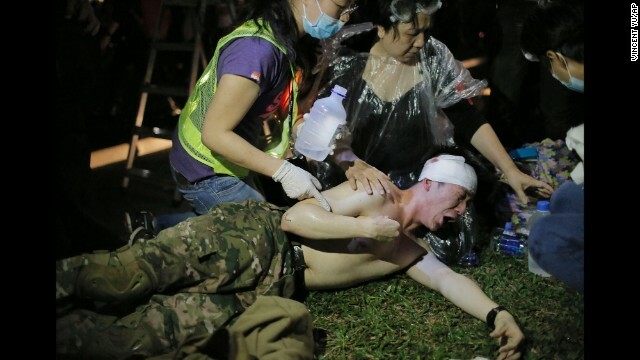 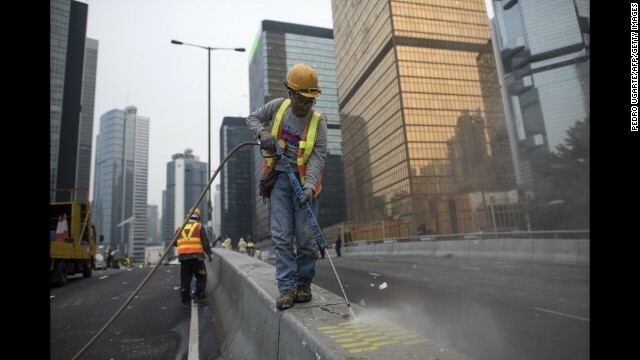 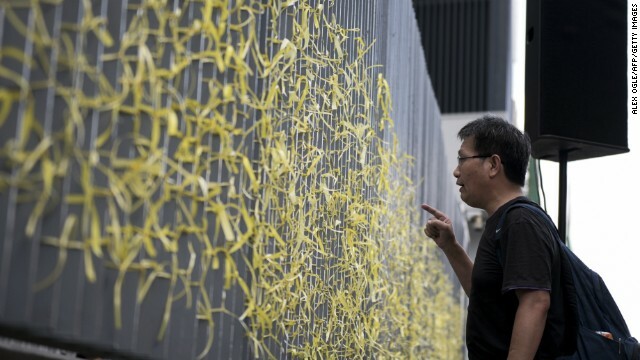 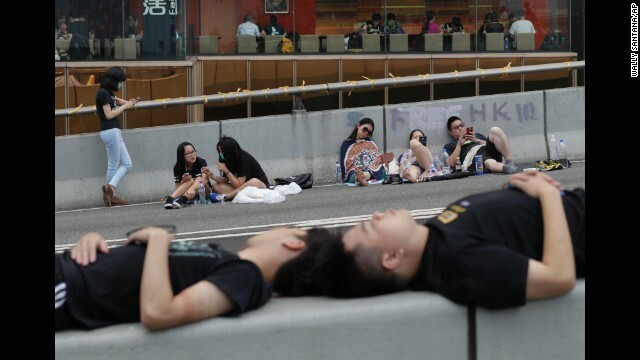 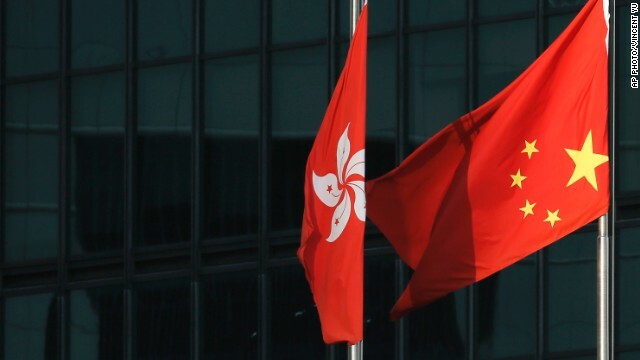 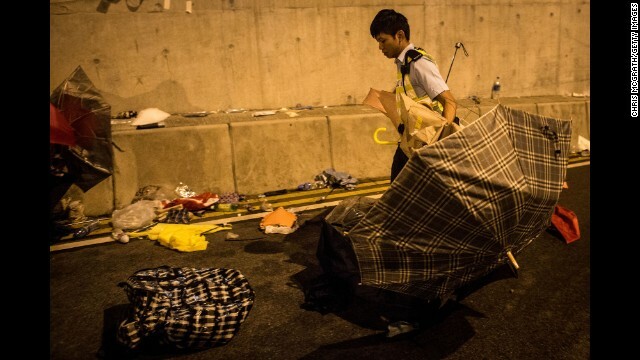 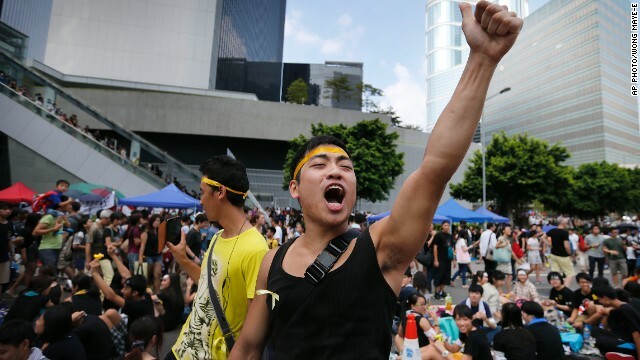 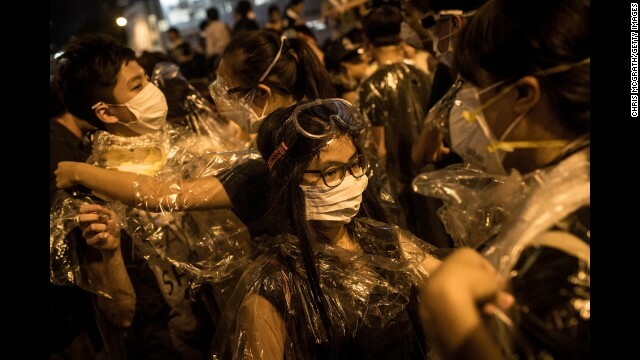 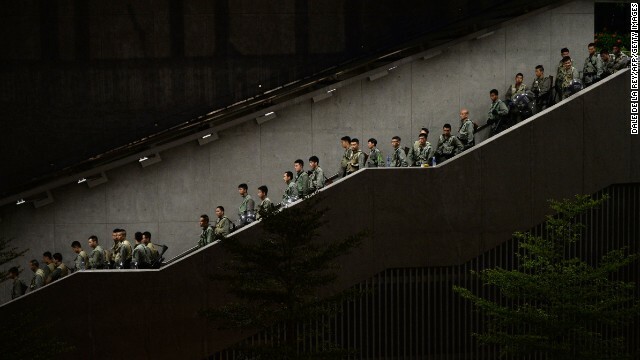 Hong Kong (CNN) -- The main site of Hong Kong's pro-democracy protests was taken apart piece by piece Thursday, ushering in the end of an extraordinary occupation that deepened political fault lines over China's role in the city's government. 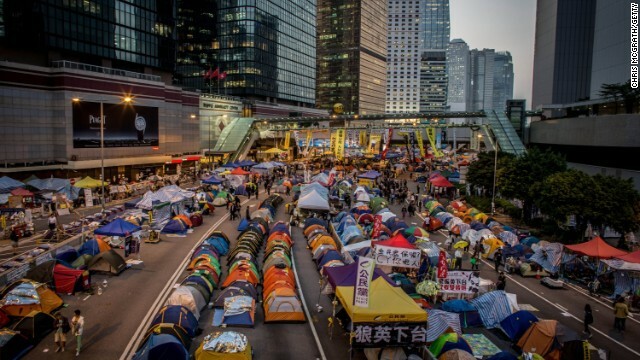 Down came the rows of colorful tents that had populated a stretch of highway running through the heart of the city's financial district. 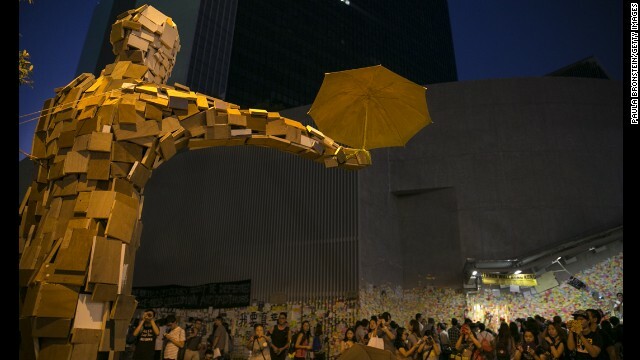 Down came the works of protest art that had sprung up during the occupation, including the movement's emblematic umbrella sculptures. 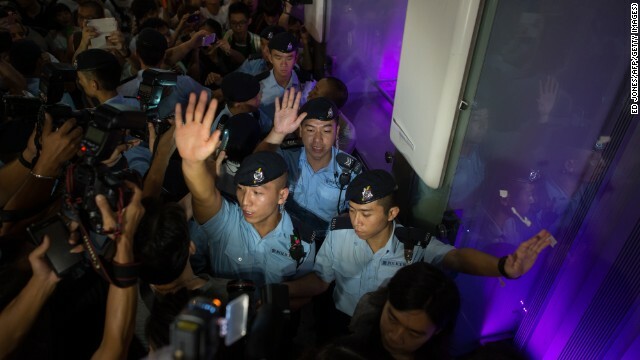 Police dragged out the last remaining demonstrators one by one and by 9:45 p.m. had cleared them all. 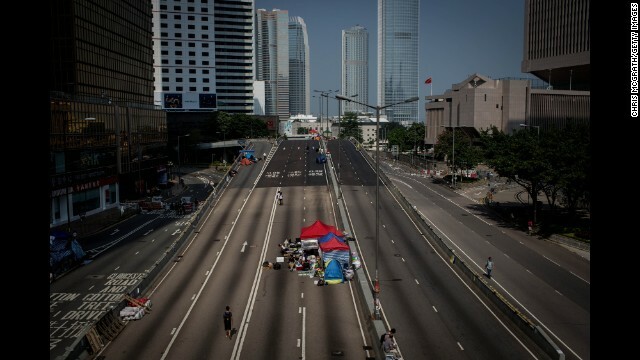 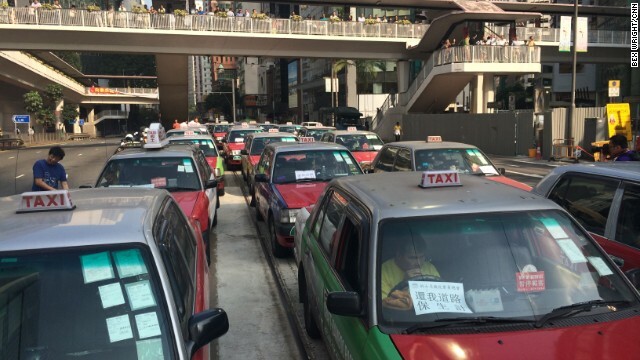 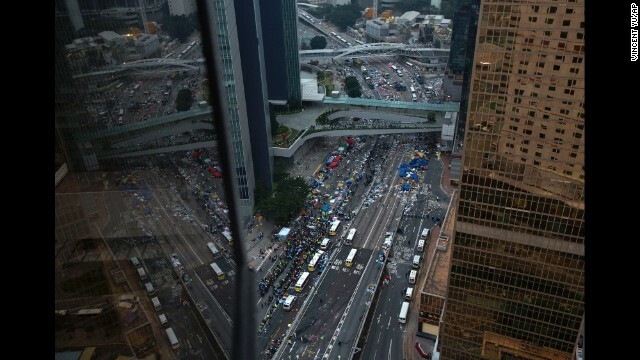 Both lanes of Harcourt Road, which has been occupied for weeks, were open and traffic was back to normal within two hours. 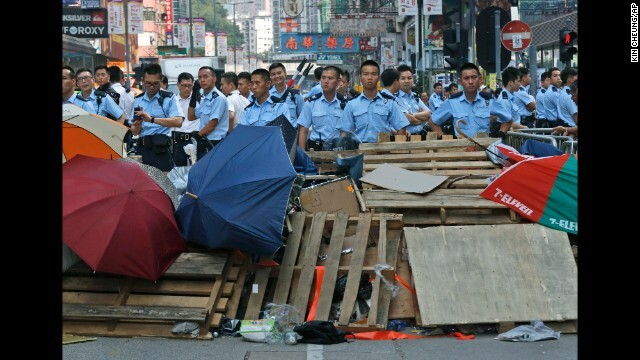 Police finished clearing the area in the span of a day. 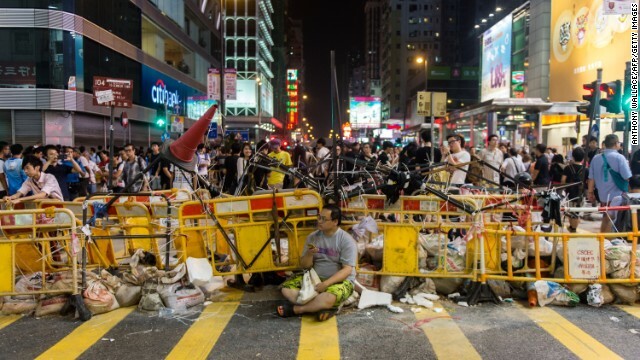 A small protest site remained in Causeway Bay, not far from the Harcourt Road area, but police warned protesters that if they moved to that area, arrests would be made. 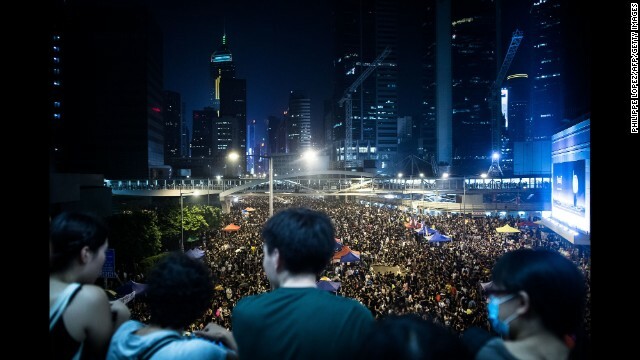 The clearance of the site heralded the end of more than 10 weeks of street demonstrations that challenged China's Communist-ruled government and captured the world's attention. 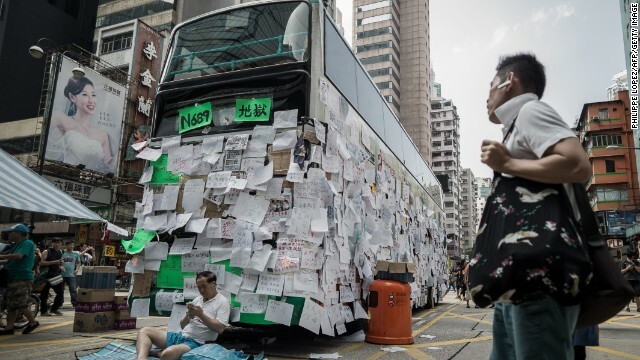 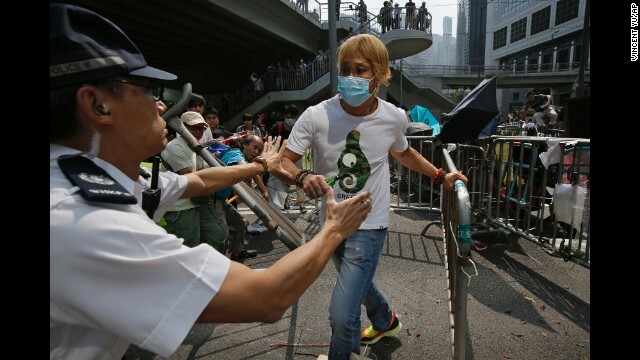 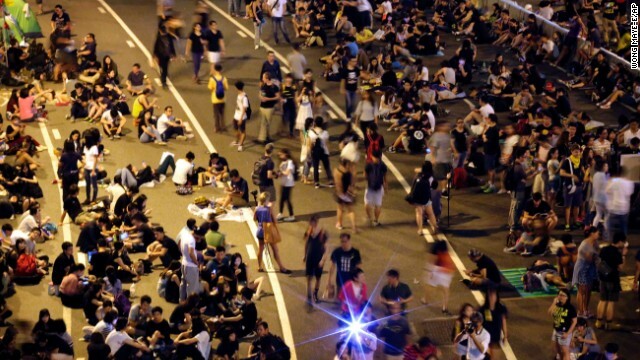 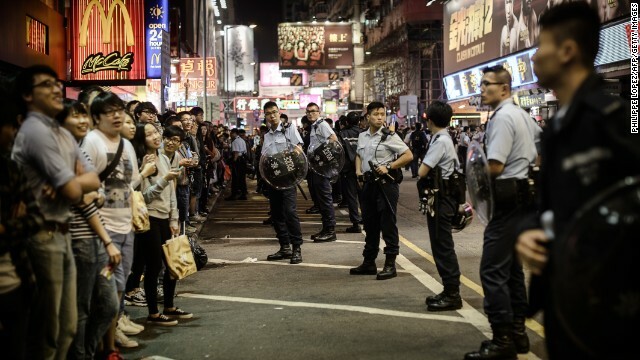 The protests blocked off parts of the city for weeks, led to sporadic clashes and appeared to serve as a political awakening for many young Hong Kong citizens. 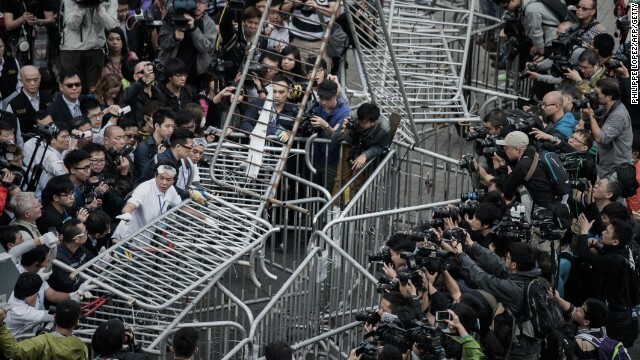 After bailiffs dismantled barricades at the site, following a court injunction requested by a bus company, waves of police officers moved in. 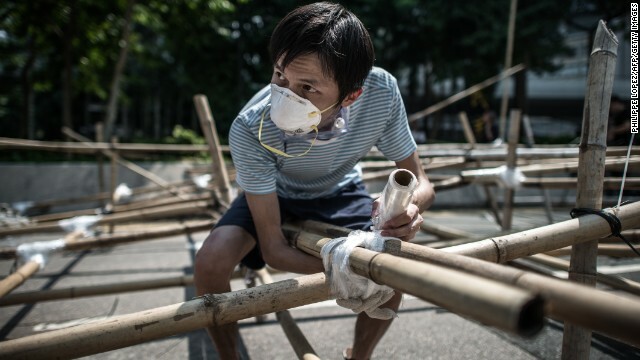 They met little resistance as they yanked down tents and used box cutters and chainsaws to cut through improvised barriers of metal, wood and plastic. 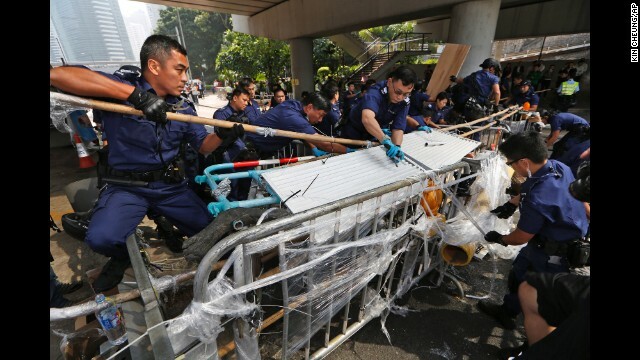 Bailiffs carried off broken umbrellas that had also formed part of the barricades -- wilted versions of the protest movement's emblem. 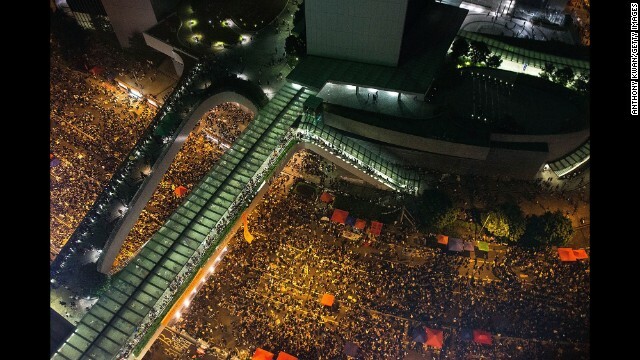 The protest site, next to the city's government headquarters, had once drawn tens of thousands of people. 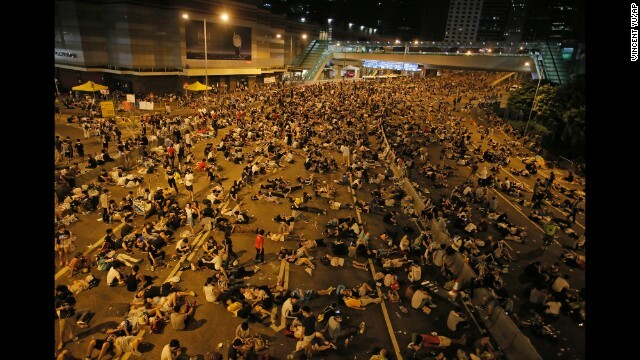 But on Thursday, only a few hundred remained. 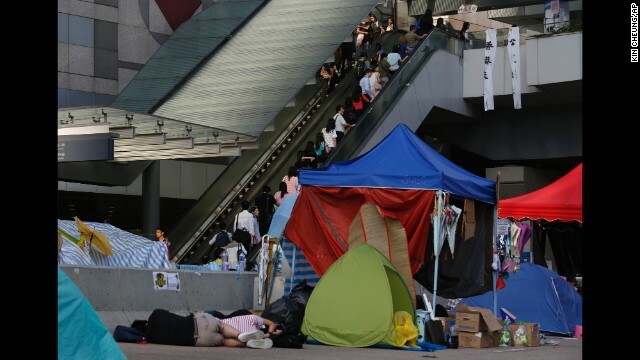 Many people had packed up and left before the deadline set by authorities. 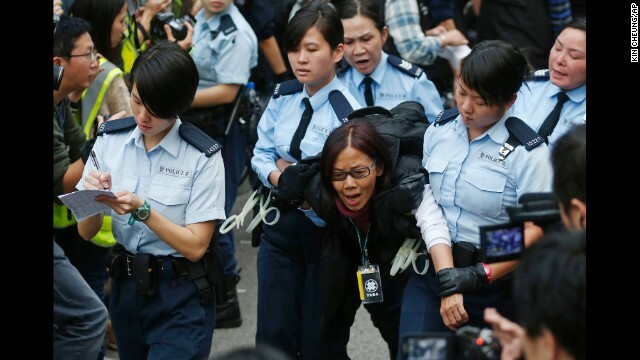 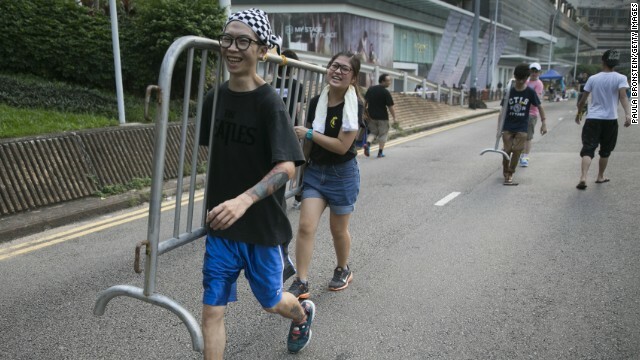 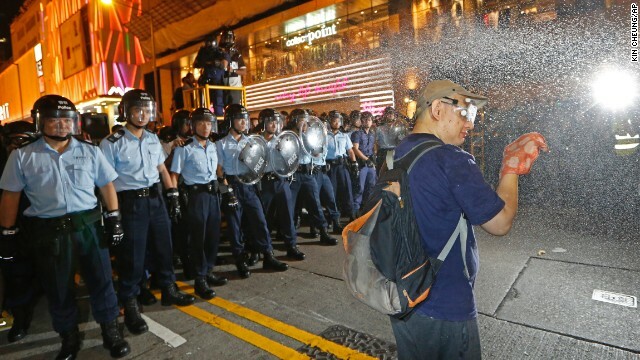 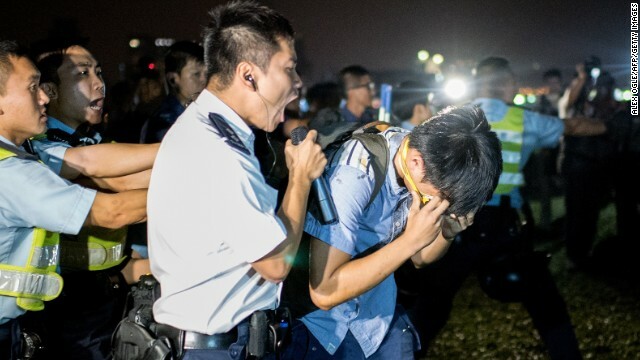 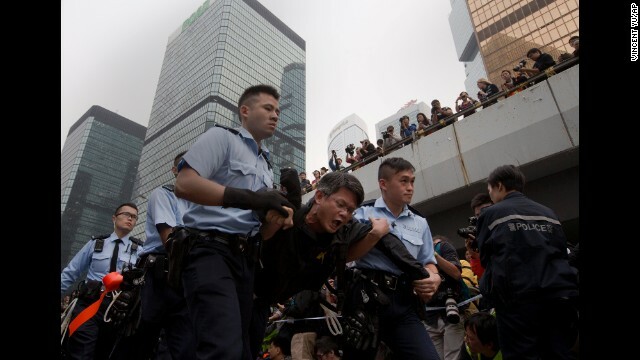 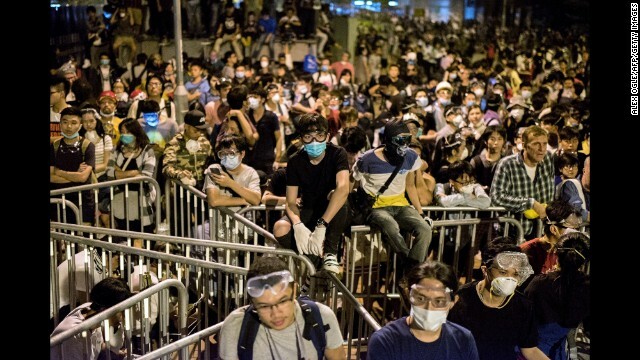 "If it's a test of force, there's no possibility that we can win," said Jamie Ng, a 21-year-old protester who vowed to stay until the end. 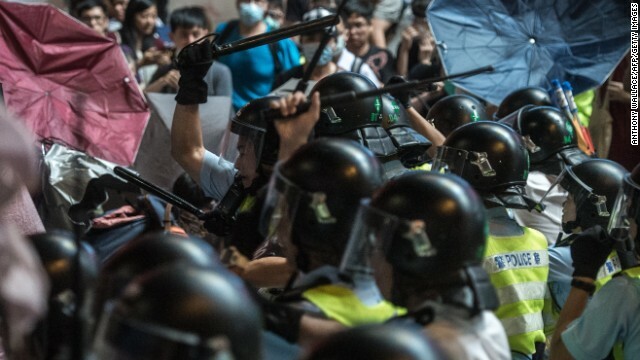 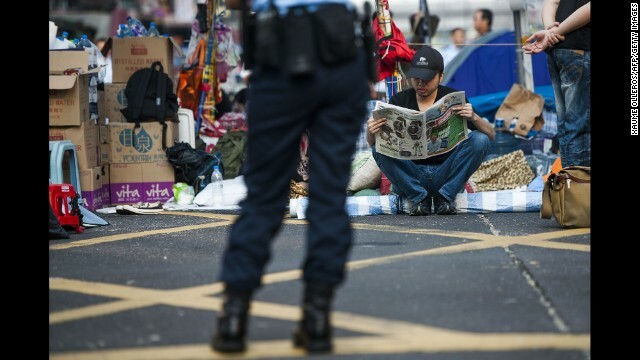 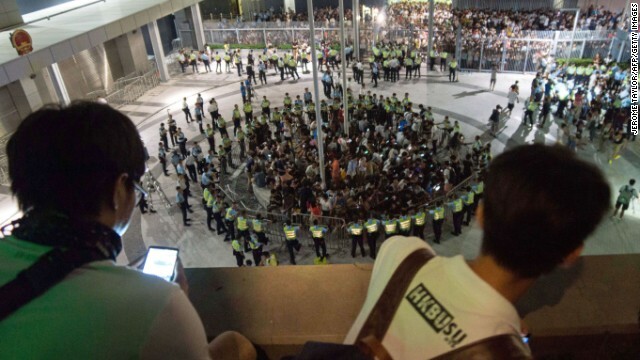 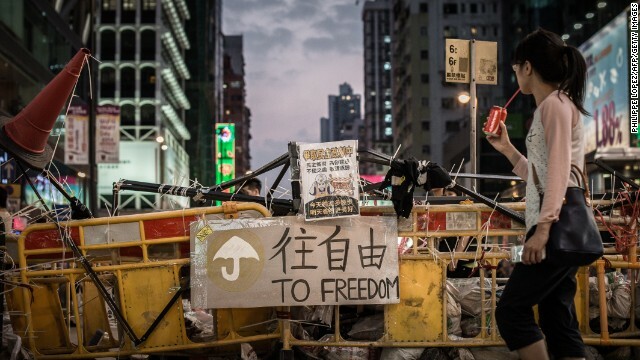 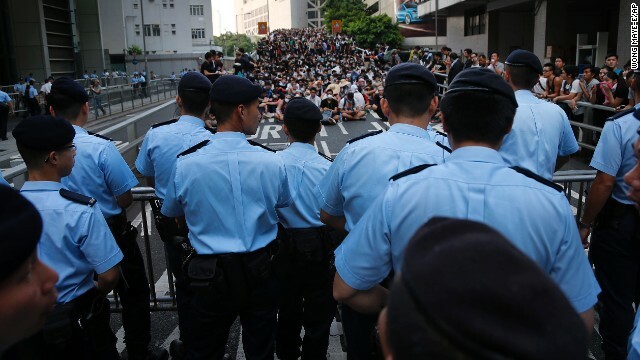 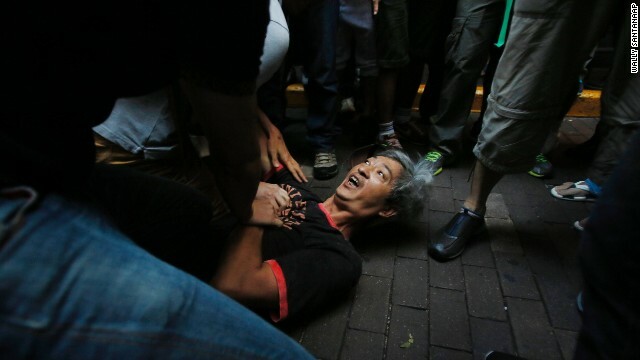 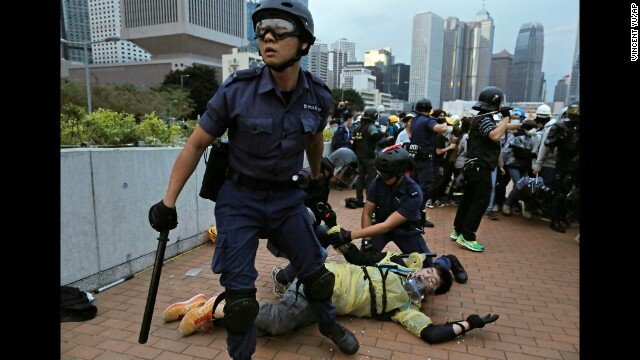 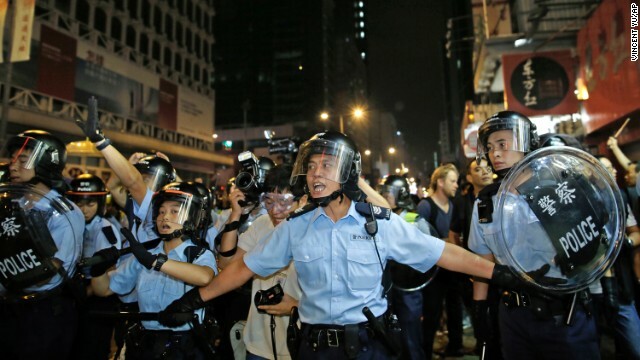 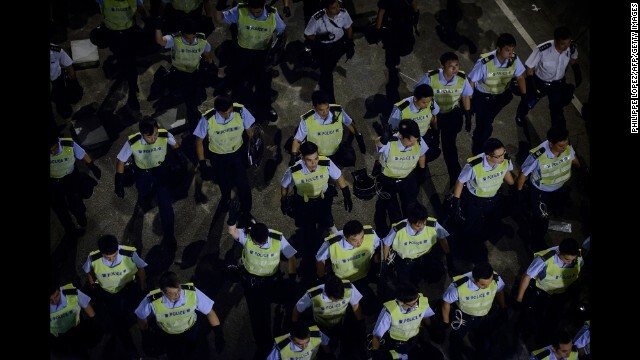 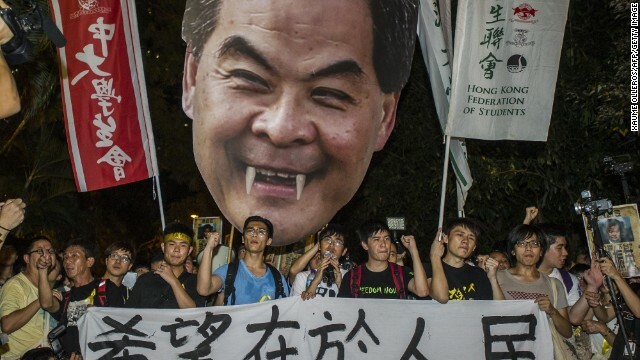 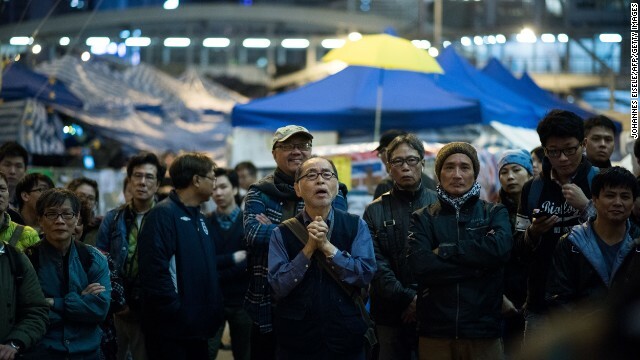 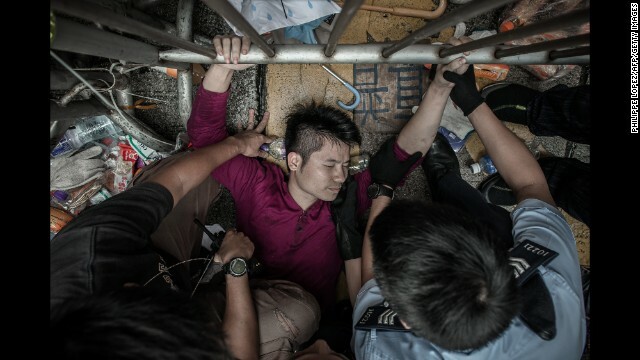 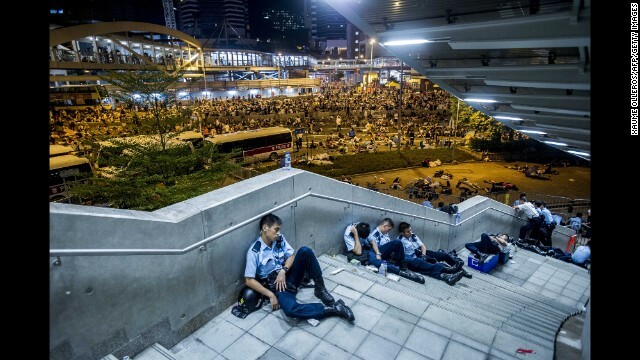 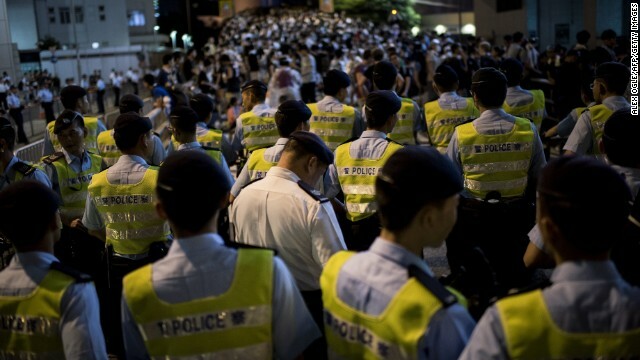 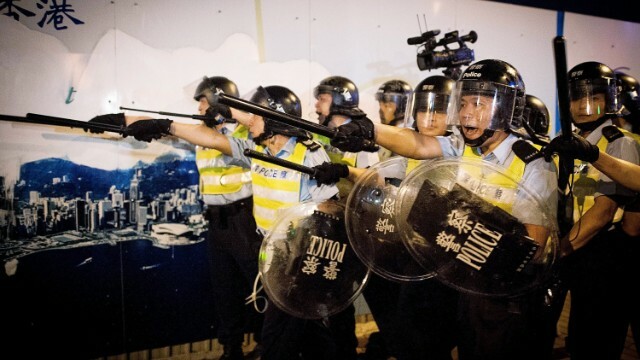 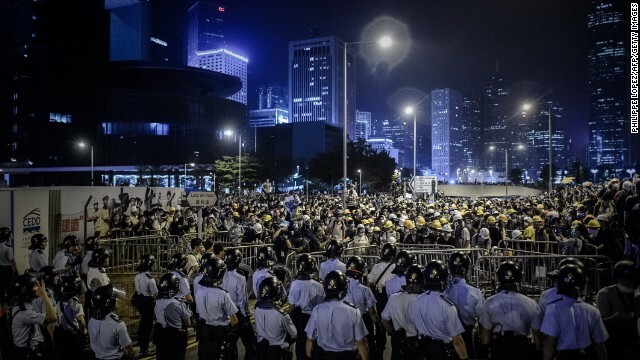 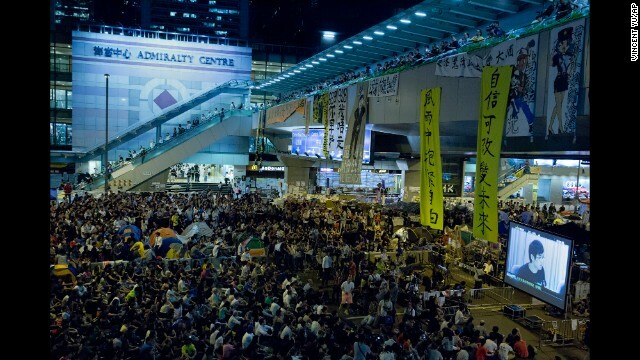 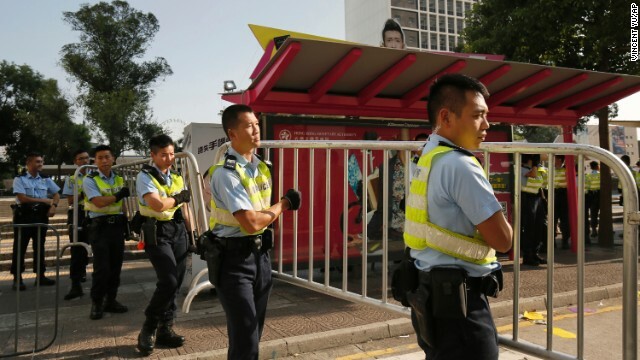 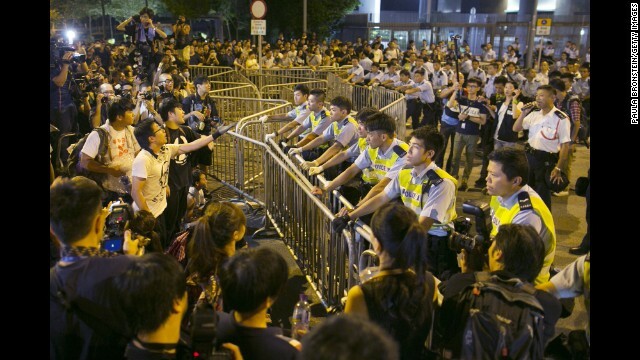 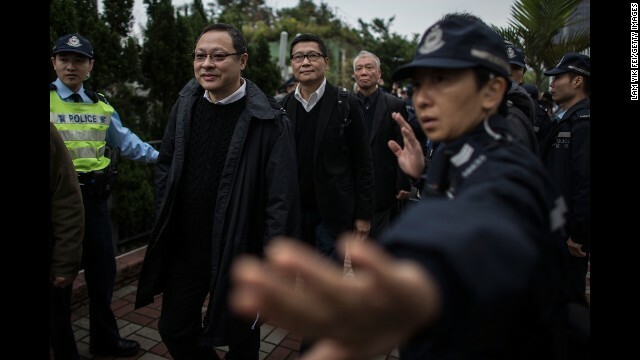 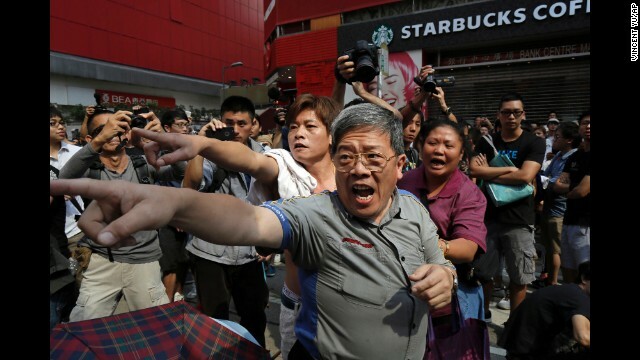 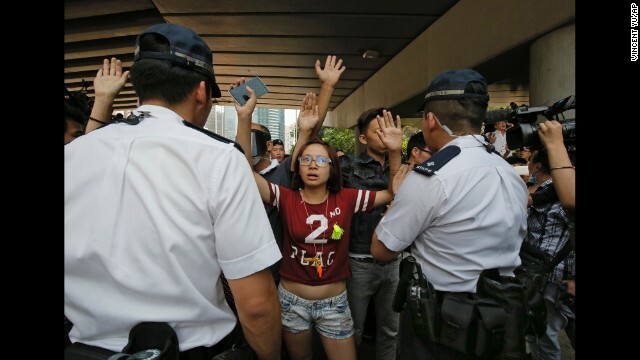 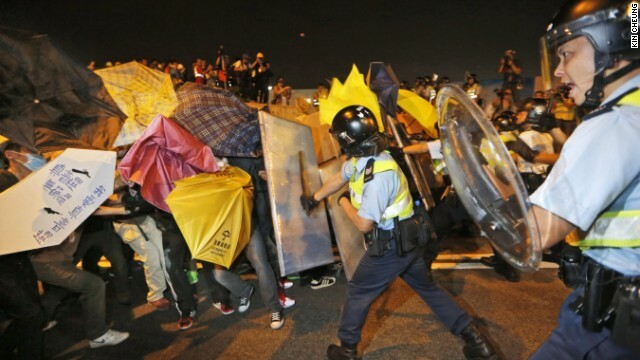 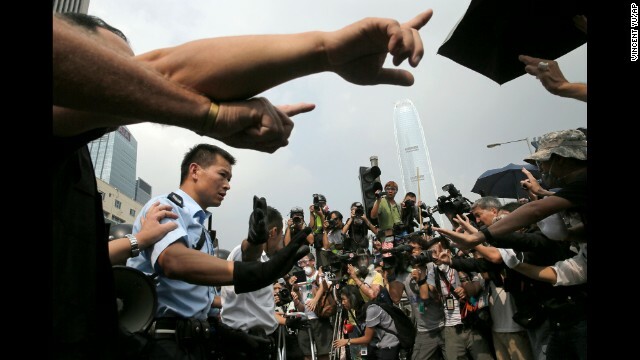 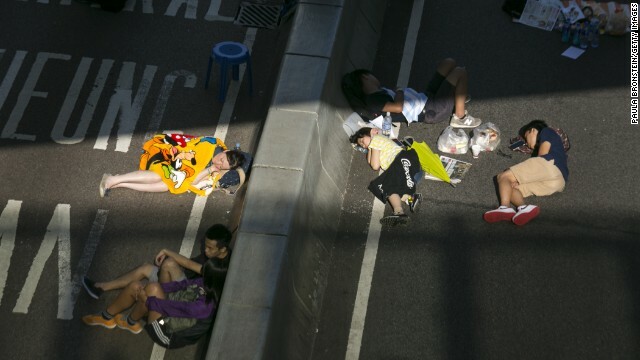 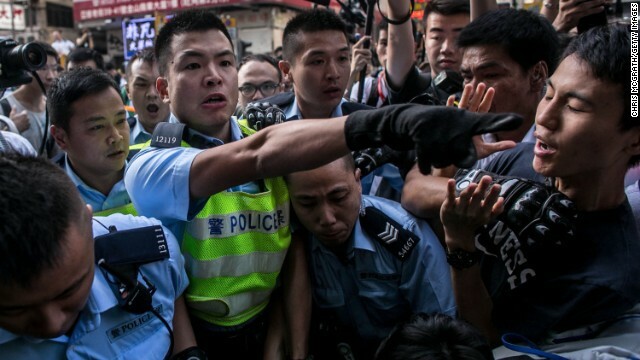 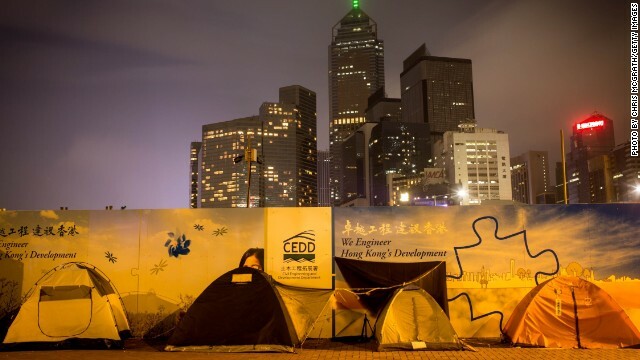 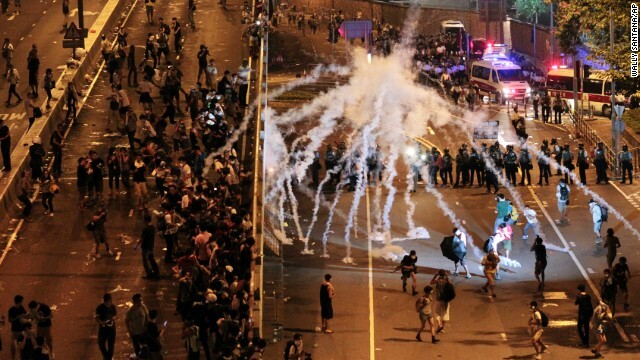 The Chinese government, which has ultimate control over Hong Kong, has steadfastly rejected the protesters' demand for open elections in the territory, calling the street occupation illegal and letting local authorities deal with the situation on the ground. 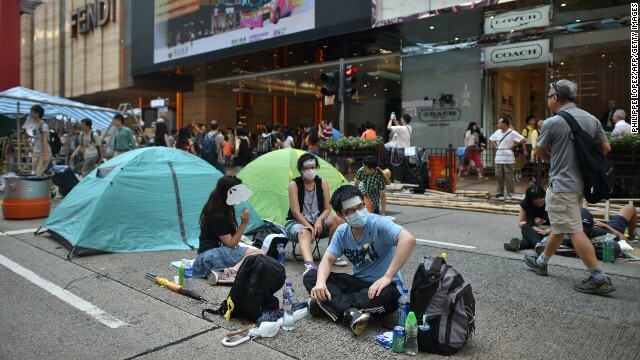 In recent weeks, divisions have deepened among different groups within the protest movement, numbers have thinned and public support for the street occupations has fallen away. 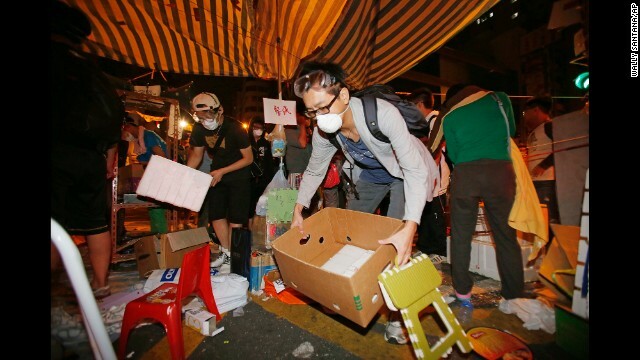 But demonstrators have said that even after the protest site is cleared, they will continue their campaign. 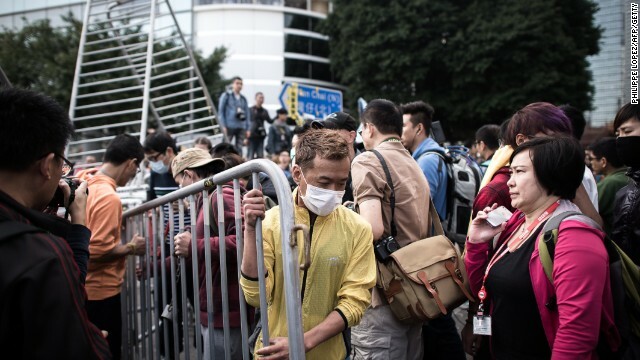 "We will be back," read some signs around the site before the clearance started. 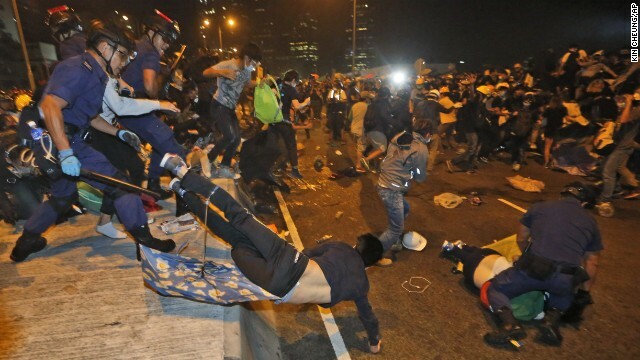 "It's just the beginning," warned another. 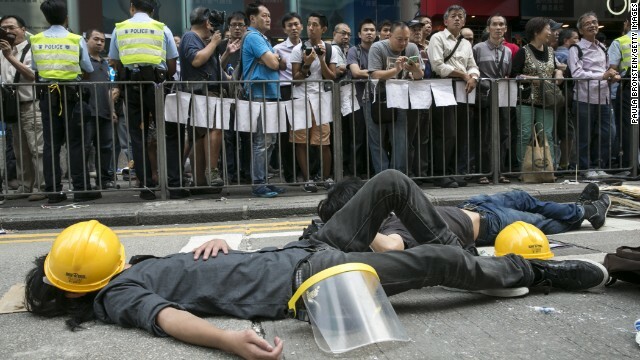 "We'll do more civil disobedience actions. 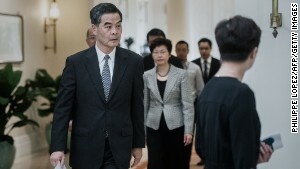 We'll go talk to local communities," Ng said. 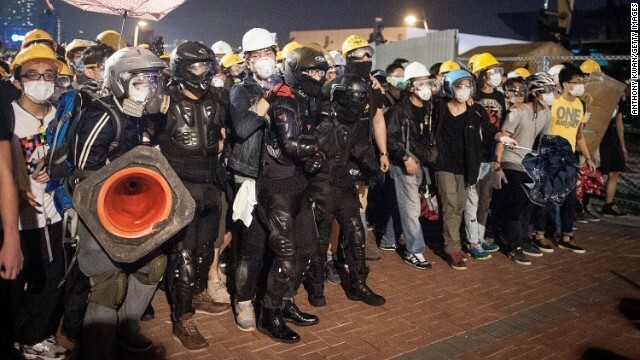 Leaders of the student groups that have spearheaded the demonstrations said they would remain at the main protest site but wouldn't physically resist the police. 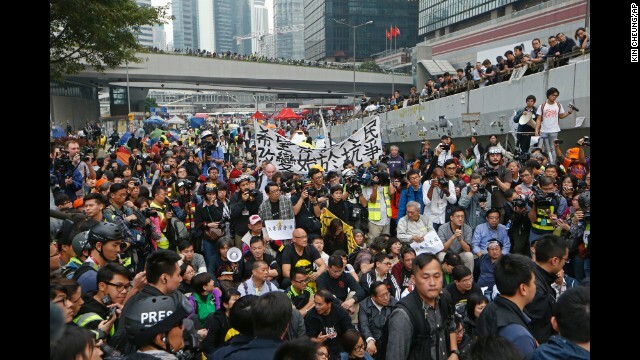 About 150 to 200 people, including politicians and students, sat on the road of the main site Thursday, saying they were ready to be arrested. 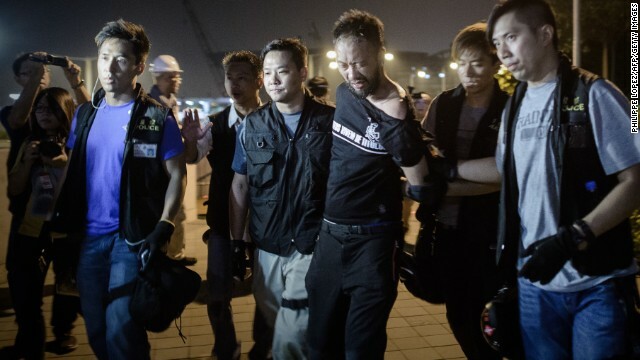 After giving the group a final warning, police began escorting the protesters one by one to vans parked nearby, carrying those people who wouldn't walk. 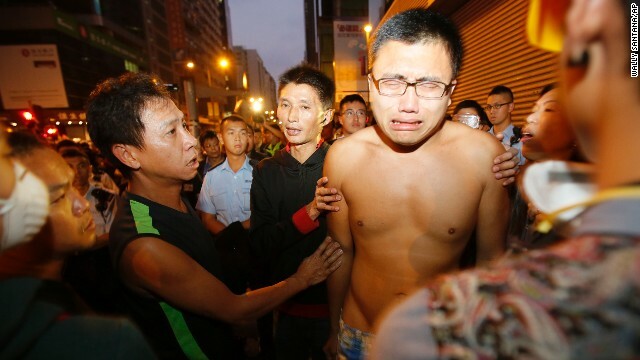 "I want real democracy, I want universal suffrage," one demonstrator chanted as they hauled him away. 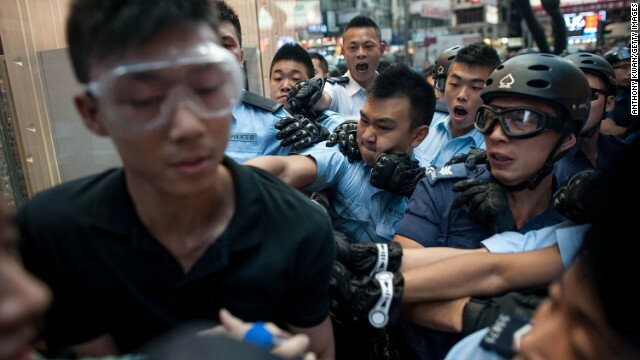 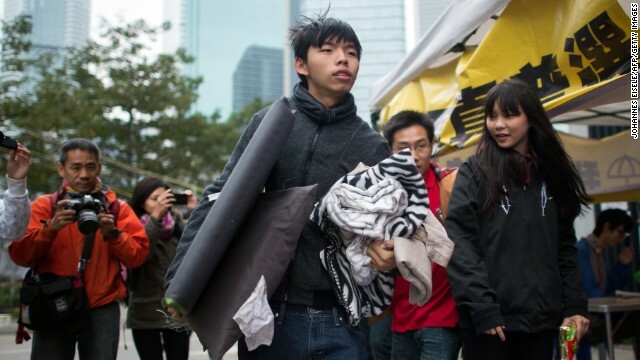 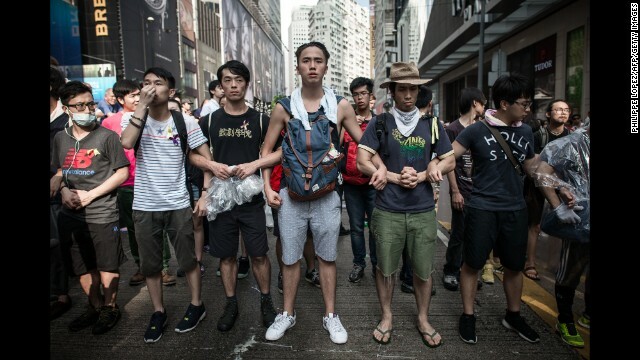 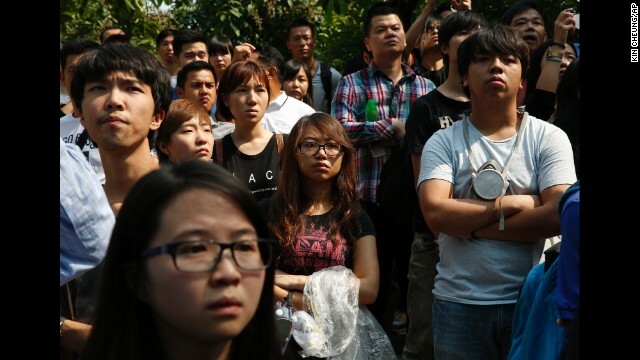 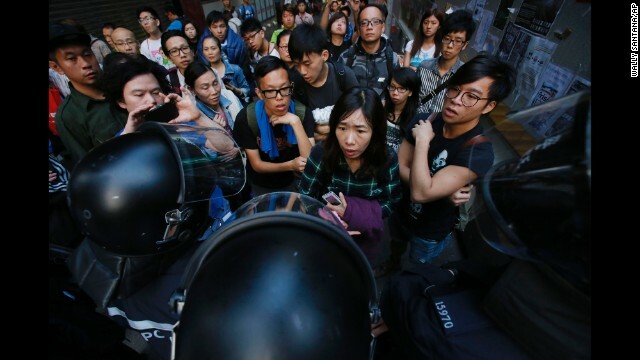 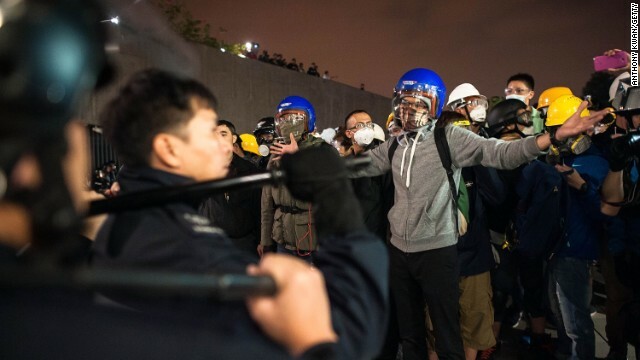 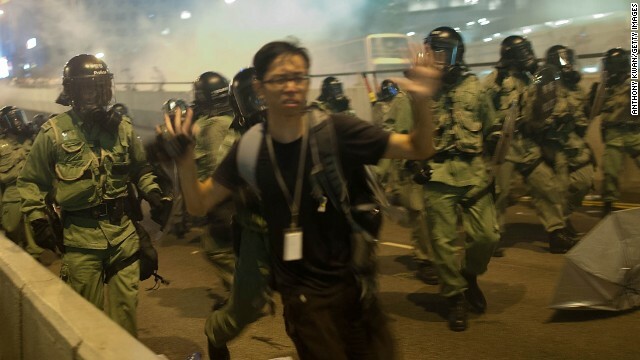 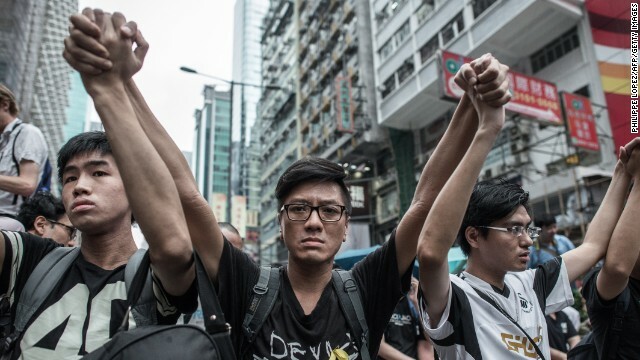 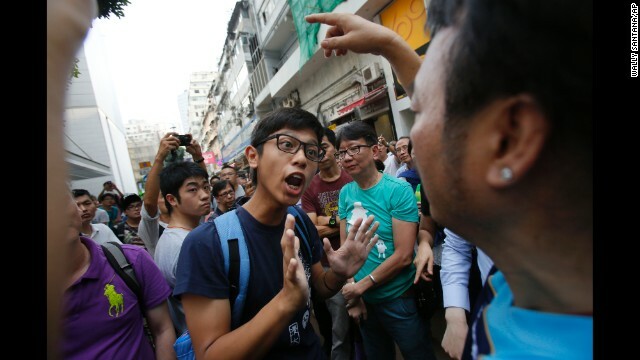 Alex Chow, secretary general of the Hong Kong Federation of Students, said that members of the organization would stay on the front lines but wouldn't use violence. 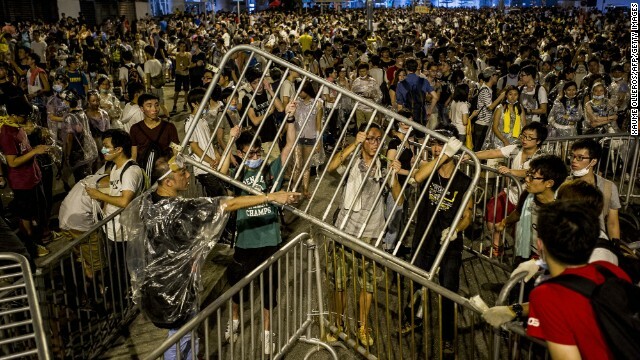 Clearing out the protest area doesn't solve the underlying problem, he said, addressing the crowd before authorities moved in. 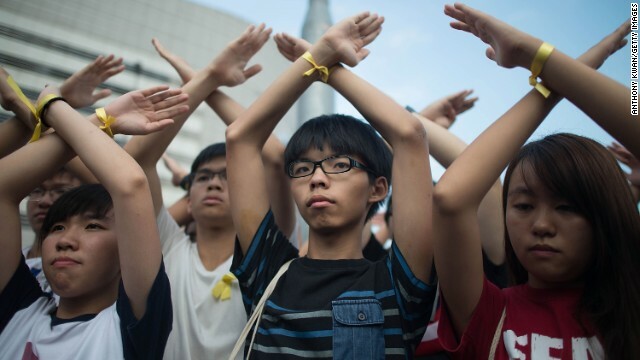 Joshua Wong, the student figure who has become the face of the protest movement, has also urged protesters to remain peaceful. 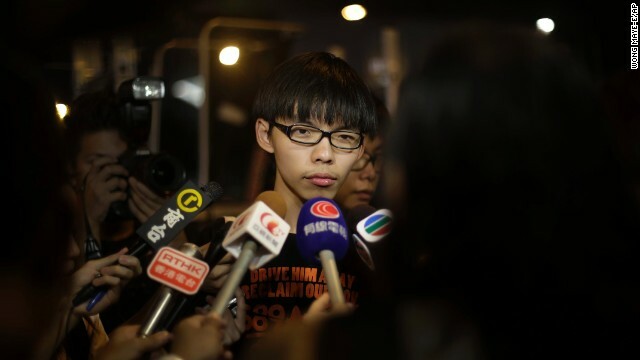 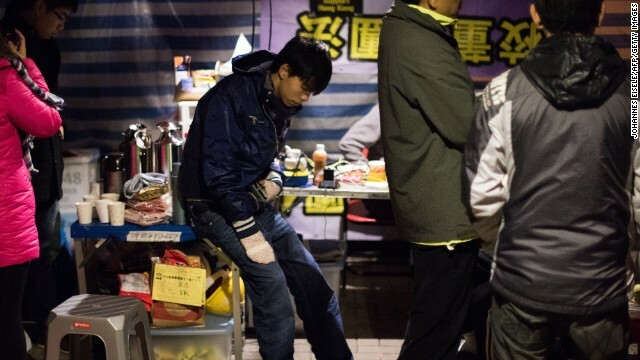 Wong, a leader of the student group Scholarism, abandoned a hunger strike over the weekend that was aimed at getting the Hong Kong government to hold talks with protesters. 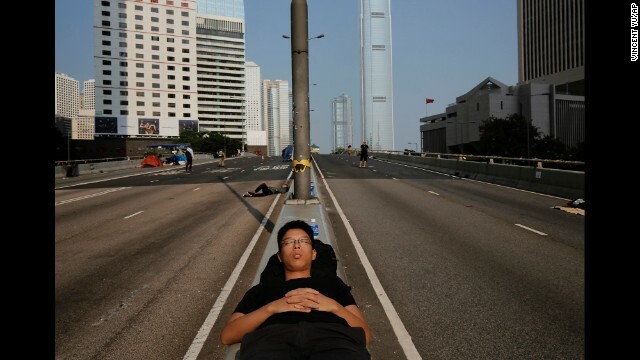 The day before the clearance, a 24-year-old protester, Jerry Lam, told CNN that he thought the occupation's legacy would live on. 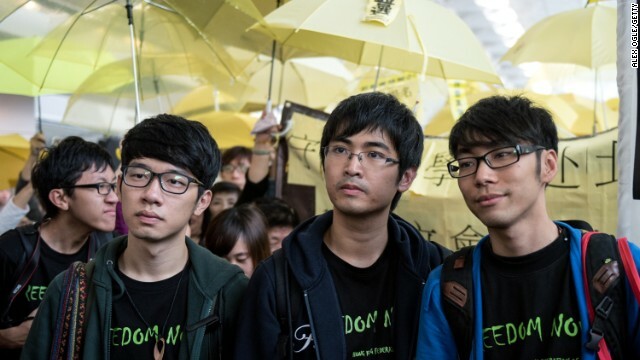 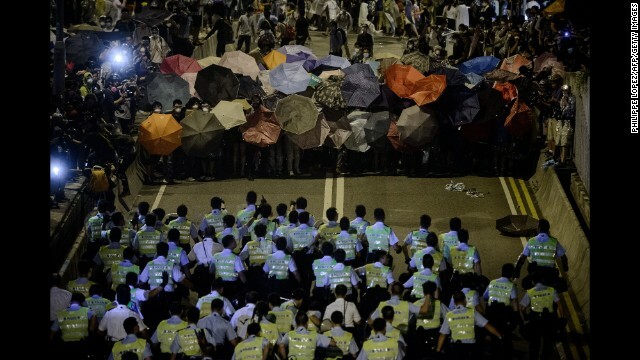 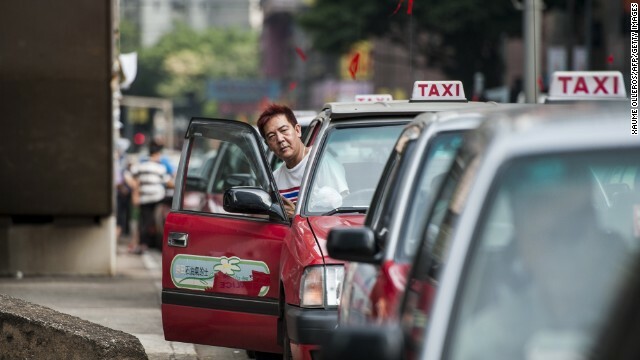 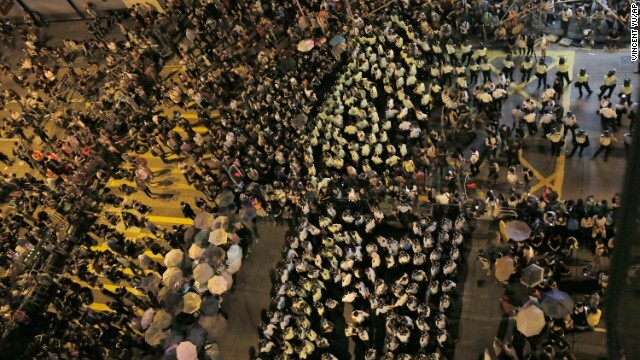 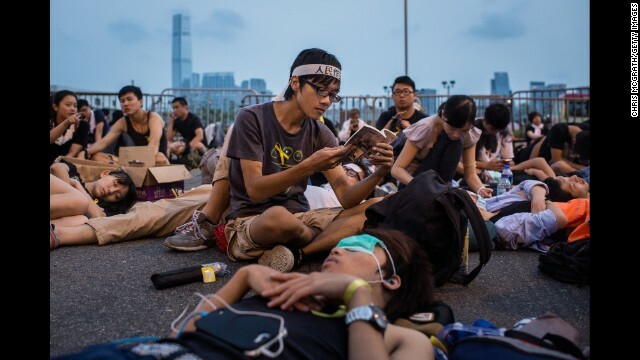 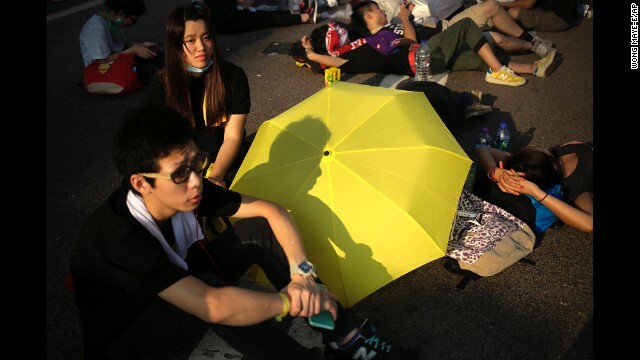 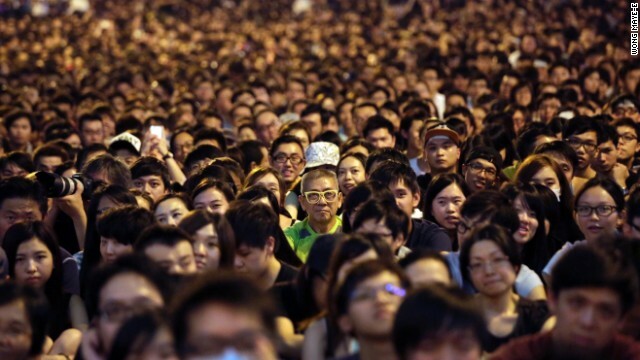 "Before the Umbrella Movement, Hong Kong people didn't really pay attention to politics. 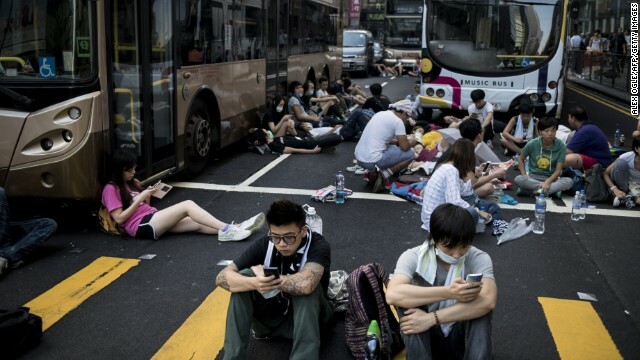 But now, everyone cares," he said. 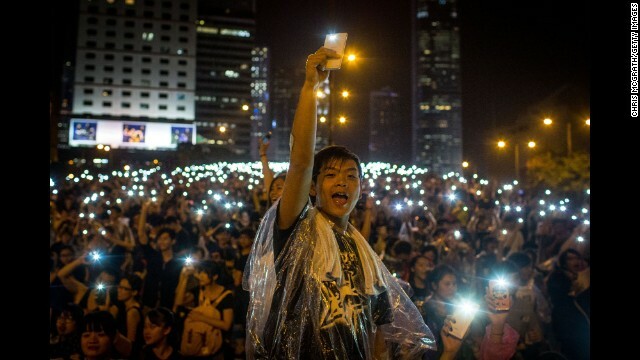 "Our generation will pass this story on to the next generation, and they'll know what we did." 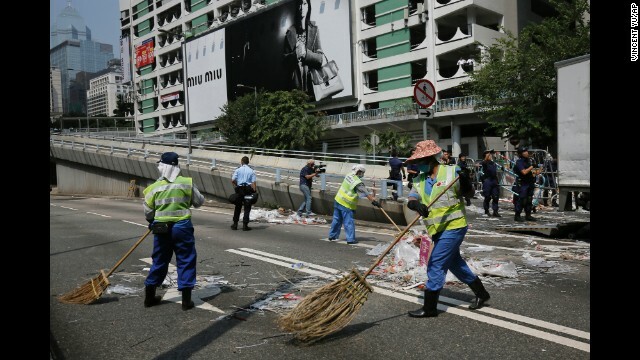 CNN's Wilfred Chan, Saima Mohsin, Pamela Boykoff, Vivian Kam, Anjali Tsui, Bex Wright and Judy Kwon contributed to this report.